Be Aware and Cautious While You Choose Your CRM! Before you select the desired CRM, make sure- Are the requirements clear to you thoroughly or not? Take out time and get a meeting arranged with your staff to discuss what all are the requirements and make a detailed note of the information gathered. Once you are clear, go ahead. Otherwise, unclear of the requirements, there are cases when you hurriedly buy a software and eventually realize needs. No option left, just hurry to look for other alternates with a wastage of time and money. to get the thorough details. Similarly, it becomes necessary for your CRM software to have a flexible integration with the social media platforms to enhance your customer base and reach the audience easily. Features, strategies, price, deployment process, everything is an important aspect. Analyzing the company’s reputation in the market, how much time it has resisted in the market and what identity it has attained in the industry is equally important to focus on. Just because taking services from a totally new company with zero experience is a big risk. jiWebTech is one such platform offering CRM solutions that have gained a well-reputed name in the market with 6+ years long experience. Getting a CRM software that best fits your requirements is a plus point. But is it bringing some new updates and features with the advancement in the technology or not? 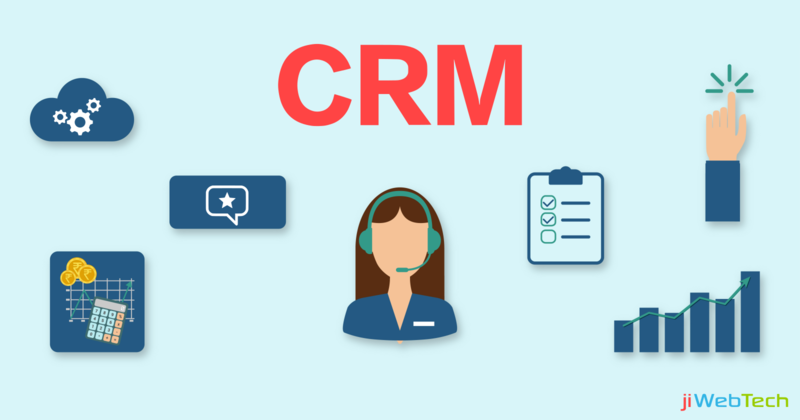 It has a deep significance as in future you modify your organization’s framework and add certain new concepts, its necessary that your CRM software easily adapts it and is compatible enough. While looking at the best services and features offered by your CRM software, don’t make it complex to use. A complex application would definitely make it difficult for the sales staff and other end users to manage their tasks. Thereby, may result in reduced sales and a weak customer base. So, keep this aspect in mind before you step into the market. Once you are aware of these basic key points, it's sure you’ll never regret your CRM software. Pay for the best services only, that's it! !